It is not surprising that parents are always asking about school lunch since children spend a good portion of their day at school. Parents want to know if their kids are properly fed at school and why is school lunch always in the news. Here are some commonly asked questions that nutrition experts get about school nutrition. Why is it important to serve nutritious meals at schools? 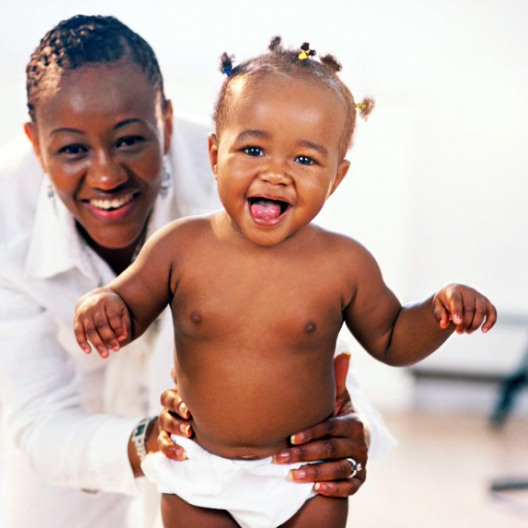 Good nutrition early in life is important for physical, mental, and emotional development. Each day, 55.3 million children attend K-12 schools in the United States, and more than half of them eat at least one school meal every day. Surprisingly, school meals provide a significant portion of children’s daily calories, so it is important that we serve nutritious foods that will help them grow and perform optimally in school. Over the years, I’ve heard, “school lunch was the only good meal I had growing up.” Because school meals are so important to underserved children, the Summer Food Service Program (SFSP) was established in the 1970’s by the USDA. The SFSP provides at least 1 meal each day to children from low-income communities while school is not in session. By serving children high-calorie nutrient-poor foods, we risk providing them with more calories than they actually need. Extra calories and little physical activity are associated with increased risk for overweight and obesity. In 2012, one-third of children and teens were overweight or obese. A shocking 70% of obese children have at least one risk factor for cardiovascular diseases, such as high blood pressure or high cholesterol. Childhood obesity can lead to a wide range of chronic diseases such as early-onset of diabetes, heart disease, and even cancer. By serving more nutritious meals in school, children can easily have a well-balanced diet that meets their calorie and nutrient needs. Therefore, schools are the perfect place to target efforts in reducing childhood obesity. Listen to this TedMed talk about the role of schools in reducing childhood obesity to hear more about what schools, teachers, and parents can do. The learn how to advocate for healthy change in your children’s school. Good nutrition is important for kids to perform their best in school. Hungry children display more behavioral problems and are more likely to have anxiety and depression. They also are more likely to have lower math scores, repeat a grade, and/or be suspended. By simply eating a nutritious meal, children can perform better on memory tests, have better school attendance, and ultimately be more successful! A healthy breakfast and lunch is critical for your child’s brain health! Can you explain how the Healthy Hunger-Free Kids Act is improving school lunches? 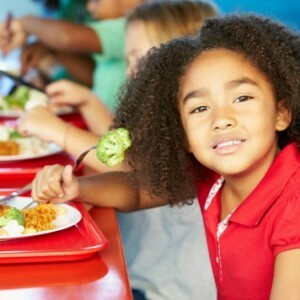 The Healthy, Hunger-Free Kids Act was signed into law by President Obama in December 2010 and officially enforced during the 2012-2013 school year. The main goal of the act was to improve the nutritional value of school lunches. The new regulations take a more holistic approach to nutrition, focusing on providing a variety of food groups rather than meeting specific nutrient requirements. The idea is that children who eat a variety of whole foods will likely meet their nutrient needs, and by focusing on food groups rather than individual nutrients, fewer fortified processed foods will be served. 1 cup of fruit and 1 cup vegetables at each meal. At least one serving of meat or meat substitute (beans, tofu, nuts, cheese, or yogurt) at each meal. Dark green, red/orange, other colored vegetables, and legumes must be served at least once per week. All grains must be whole grain-rich. Reduce sodium content by 50% over 10 years. 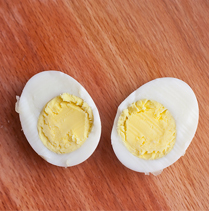 No trans fats and <10% of calories from saturated fat. Only serve 1% or nonfat plain milk or nonfat flavored milk. What about competitive foods and junk food advertisements on school campuses? Getting kids to choose healthy foods is a lot harder when pizza and French fries are served next to salads, when vending machines stocked with candy and chips are on every corner, and when advertisements for soda and junk food are present around campus. Foods sold on campus that are not included in the school lunch program are called competitive foods. Or contain 10% of the recommended daily value of calcium, potassium, vitamin D, and dietary fiber. Beverages are limited to water, unflavored low-fat milk, unflavored or flavored fat-free milk and milk alternative, 100% fruit or vegetable juice, and 100% fruit or vegetable juice diluted with water and with no sweeteners. 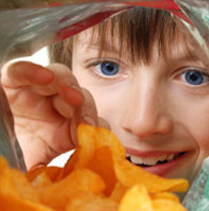 We know that food companies find surprisingly sneaky and new ways to market junk to kids. Well, food marketing is also pervasive in schools across the country. Seventy percent of K-8 school children, and 90% of high school kids are exposed to food marketing while at school. Legislation to restrict marketing of unhealthy foods on school campuses was proposed by the White House in February 2014, which will only allow advertisement of foods that meet school nutrition requirements and align with the Smart Snacks in School program. Lawmakers will work with food companies to allow them to only advertise healthy products, such as bottled water or whole grain products on school campuses. We have the best chance of influencing kid’s eating habits by teaching them about healthy eating in the classroom, serving them healthy foods in the lunch room, and sending them consistent messages at home and on campus. School meals have improved and continue to do so. 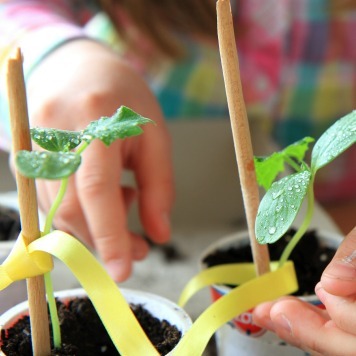 Many schools around the nation have amazing stories to tell such as Farm to School Programs, growing their own food, or using vegetable purées in daily dishes. Check out the stories on school meals that rock, you’ll be AMAZED! Share your school success stories with SuperKids Nutrition and School Meals that Rock –let’s spread the word and get all the good ideas out there!